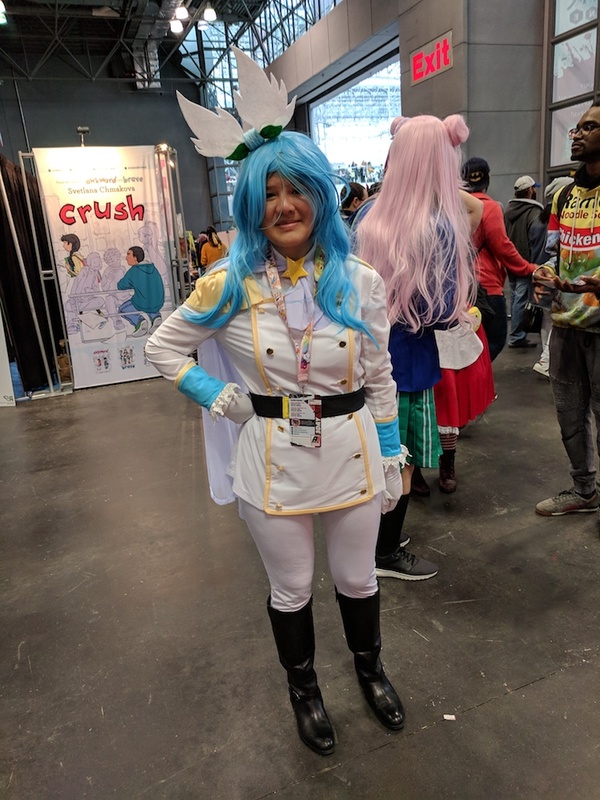 I had nothing but praise for last year’s inaugural Anime NYC, which I felt was the right size, scope, and level of focus for a New York City anime convention. But it can be difficult for a sequel to live up to a hit original, so I was curious to see how the second time around would fair. Spoilers: It was pretty fantastic. 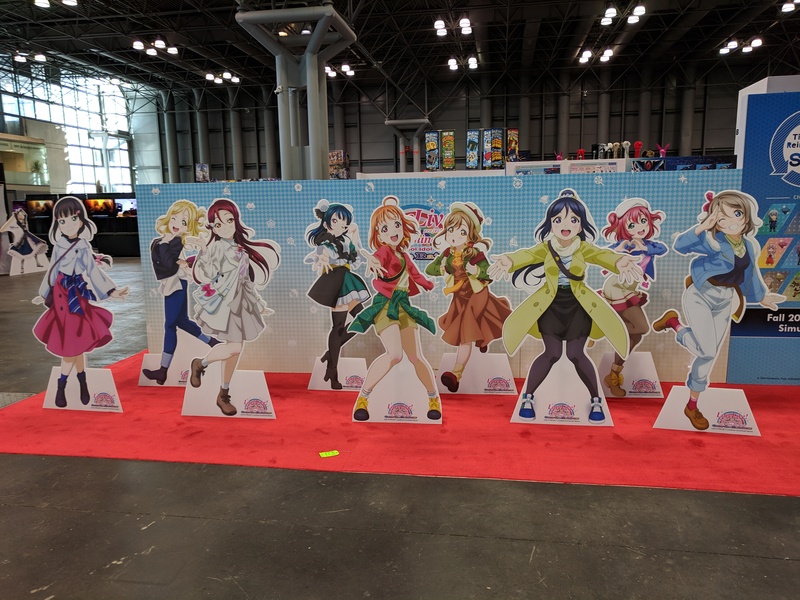 Once again, Anime NYC hit it out of the park in terms of having the right amount of space. It’s a tricky balance to maintain, as too little space means crowding and delays for all attendees but too much space can make a convention feel empty and isolating. Aside from absolute peak hours in the Exhibitor’s Hall and Artist Alley, I never had any trouble moving from place to place. 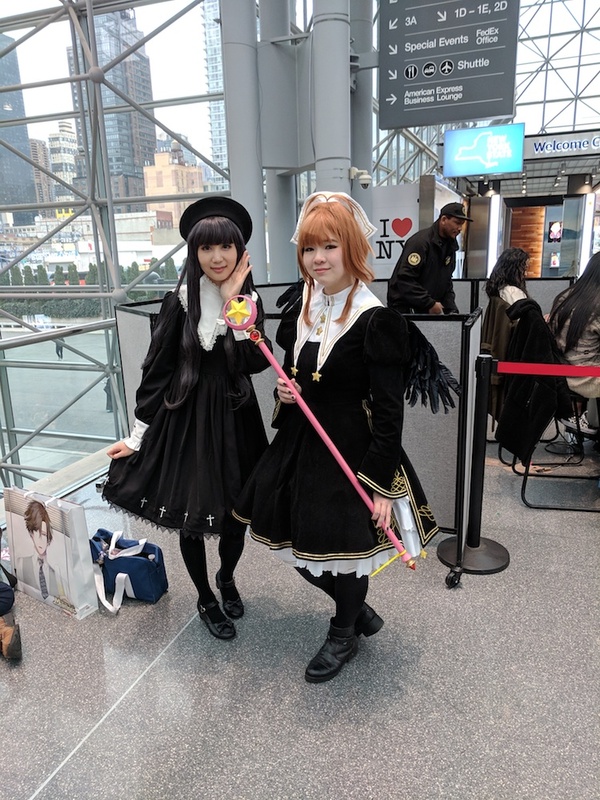 There might come a point where Anime NYC starts to outgrow its space, but the con this year only took up a portion of the Javits—it actually shared convention space with a pet-oriented event called Petcon. In other words, there’s plenty of room to expand. I also want to re-affirm something I mentioned last year, which is how much I like the Artist Alley space for Anime NYC. Located on the top floor of the Javits, the area is surrounded by glass, which allows plenty of light to come in. At the best times of the day, it makes you feel like you’re walking through a gallery boutique, albeit filled with fandom ships of Voltron: Legendary Defender. As an aside, I was happy to see so much Cardcaptor Sakura stuff this year; perhaps a sign that the recent Cardcaptor Sakura: Clear Card made an impression. 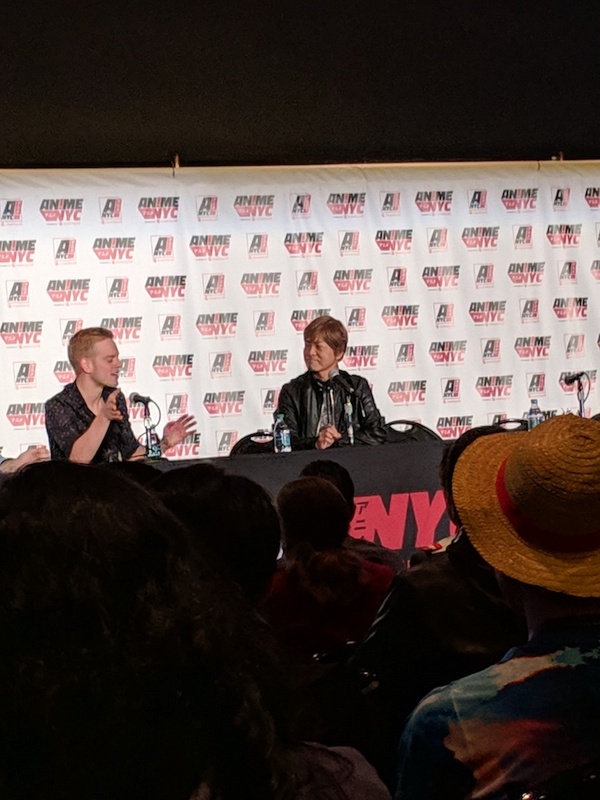 Without a doubt, the biggest guest for me was Furuya Toru, the veteran voice actor behind roles such as Amuro Ray (Mobile Suit Gundam‘s protagonist), Pegasus Seiya (Saint Seiya), Tuxedo Mask (Sailor Moon), and more. He is, without exaggeration, a legend of the industry, and this was my first opportunity ever to see him. I wanted his autograph and to get some insight from his decades of voice work in anime. The autograph aspect hit a snag from the get-go, though not entirely through Anime NYC’s fault. For signings, the convention went with a mix of paid sessions and free ticketed ones, and Furuya’s was the latter. This required lining up outside the Jacob Javits convention center Friday morning, which also just happened to be the morning after one of the biggest snowstorms in New York City history. People were made to stand in the cold, despite the fact that there was plenty of room indoors. 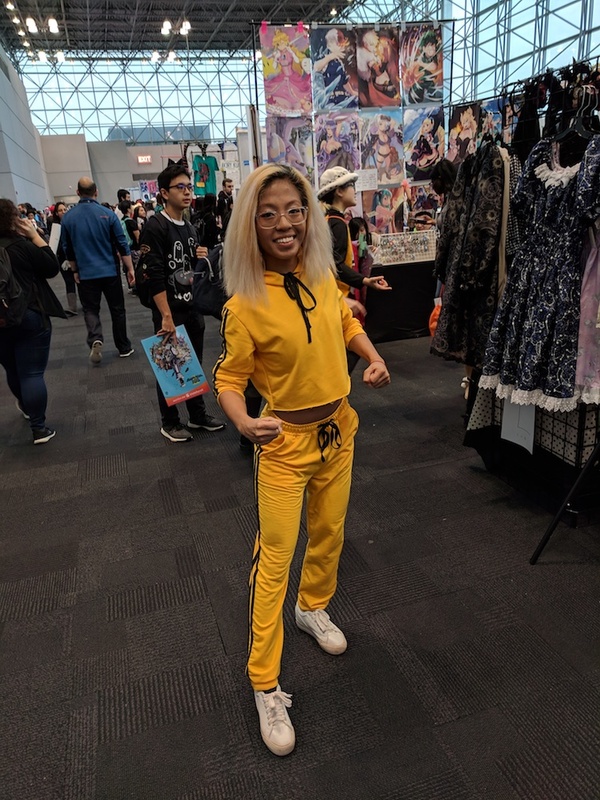 To Anime NYC’s credit, the con issued an apology the next day and allowed people to line up inside the convention center for Saturday and Sunday. That didn’t solve all the issues with autographs—I’ll get to that later—but it at least showed that they were willing to respond to complaints. 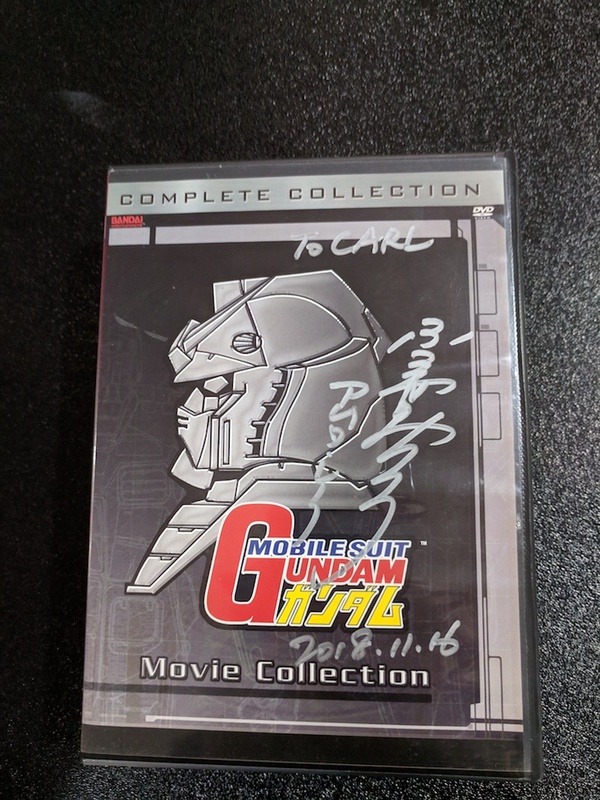 Fortunately, I was able to get an autograph ticket, and I was able to thank Furuya for putting so much passion into his many roles over the years as he signed my Gundam movie DVD box set. It’s a memory I’ll cherish for as long as I live. As for Furuya’s panel, it was a mix of both moderated discussion and audience Q&A. Sadly, I was unable to stay for the second part, but the first half provided plenty of highlights. One of my favorite exchanges was when the moderator, Kyle Cardine, asked Furuya about playing the character Ribbons in Gundam 00, who’s thematically an evil version of Amuro. Furuya responded that while he was the narrator in Gundam 00, it was “his kouhai” who played Ribbons. For those unaware of the joke, Ribbons is clearly Furuya (his voice is unique and unmistakable), but the role is credited to “Sougetsu Noboru”—a pseudonym that cheekily means “Moonrise,” a wink to the studio that makes Gundam, Sunrise. I actually had the chance to provide Kyle a question to ask Furuya as well (thank you Kyle!). Specifically, it was asking about his experience working with director Nagahama Tadao on Furuya’s first big series, the seminal baseball anime Star of the Giants. Furuya gave a look of surprise, and then responded that he didn’t really interact with Nagahama, as the man didn’t attend the recording sessions much. However, he also mentioned that he was only fifteen years old when he played Hoshi Hyuuma, the protagonist of Star of the Giants, and that if the show hadn’t been so wildly successful, he probably wouldn’t have ever become a professional voice actor. This answer is interesting to me, partly because I asked a similar question back in 2010 to another star actor from a later Nagahama anime: Mitsuya Yuji, the voice behind Aoi Hyouma from Combattler V. In contrast to Furuya’s response, Mitsuya actually said that Nagahama pushed him to improve his performance. This says to me that Nagahama must have changed in the years between Star of the Giants and Combattler V. Or maybe the director felt Furuya needed less guidance, even at a young age? It’s startling how talented Furuya can be, given how well he can modulate his voice between younger and older characters. One minor mishap from this panel was that the moderator Kyle tried to ask him about Director Tomino Yoshiyuki, but something got lost in translation and Furuya didn’t give a real answer. Here’s hoping he comes to New York again, so we can get a second chance at this. Another big Japanese guest at the convention was voice actor Shintani Mayumi (Haruka from FLCL, Nonon from Kill la Kill, Rikka’s mom from SSSS.Gridman). She was a speaker at the Studio Trigger Live Drawing/Q&A panel, and it gave me the opportunity to ask her about her experience on the 2000 anime Brigadoon: Marin & Melan. At first replying that the topic was unexpected Shintani went into details about a memory from that time. Her character in Brigadoon, Lolo, resembles a cat, and so she played the role in a feline manner. However, it’s eventually revealed in the show that the cat-like appearance is a disguise to hide its true form, and seeing a closet full of “cat skins” was a shock to her. She then talked about how Brigadoon still has passionate fans. 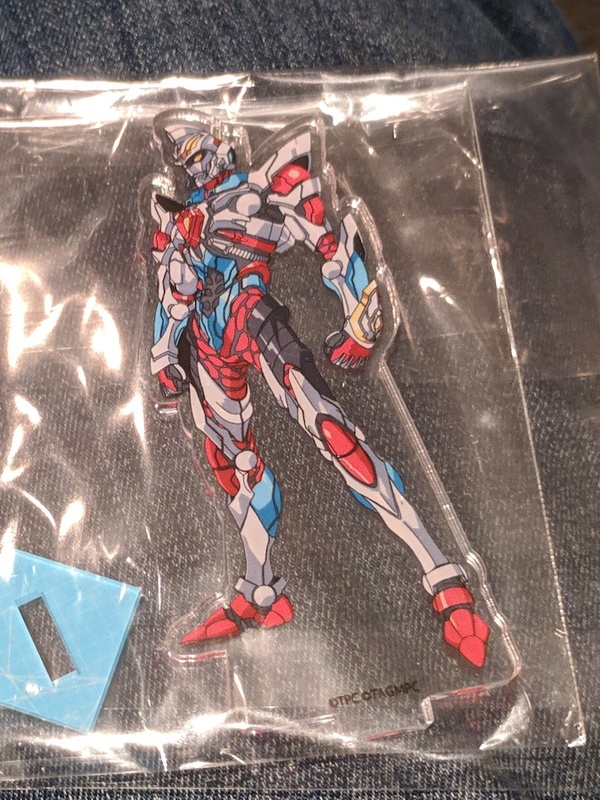 Afterward, I received a nifty Gridman standee as a prize. I’m truly glad to have asked Shintani about Brigadoon, but I was also a bit torn at first as to who to direct my question at. I really wanted to pick Koyama Shigeto’s brain about his Darling in the Franxx mecha designs or ask producer Wakabayashi Hiromi about whether they watched Superhuman Samurai Syber-Squad as research for SSSS.Gridman. However, I’ve had the fortune of interviewing Trigger in the past, so I decided to focus my attention on Shintani, who’s a rare guest at US anime cons. Shintani also got asked about playing Miss Shamour in Go! Princess Precure, and she basically replied that Miss Shamour shouldn’t be a Precure because then she would be too powerful. What’s more, at the start of the panel, Shintani recited Nonon’s signature “Nani sore? !” to audience applause. Totally worth it. 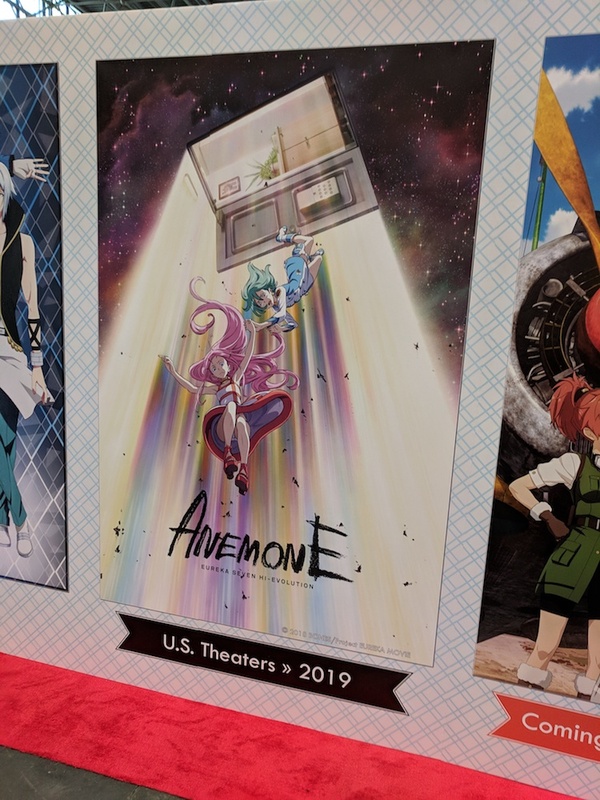 Other highlights of the panel include Wakabayashi’s desire to put Inferno Cop into Smash Bros., the ridiculous video from Anime Expo they showed of them clowning around and expressing how behind they are on their new show Promare. They also had an extended discussion on who to blame for the cockpits in Darling in the Franxx. Koyama and Tattsun (the translator) claimed that it was because doggy-style is Wakabayashi’s favorite position, while Wakabayashi said it was the result of seriously considering what would make sense for the show. The producer also said that there were six members of the design staff, and any one of them could have spoke up. Coincidentally, the Studio Trigger panel was followed immediately by a live drawing/Q&A panel for Asada Hiroyuki, author of Tegami Bachi (aka Letter Bee). He was there to promote the manga Pez, which is being translated and sold by the new manga publisher DENPA. The company’s focus seems to be on eclectic prestige titles, as they also brought artist Murata Range over, and are publishing the eerily beautiful An Invitation from a Crab by panpanya (which I highly recommend). As for the panel itself, it actually had a soothing music track playing the entire time—what I was told was Asada’s drawing music. Unlike with Trigger, which was more of a Q&A with a live art session as a backdrop, this felt like the live drawing was the main star of the show. I understand that autographs are never an easy situation for any convention to handle. No matter how an event tries to plan for them, it’s damned if you, damned if you don’t. 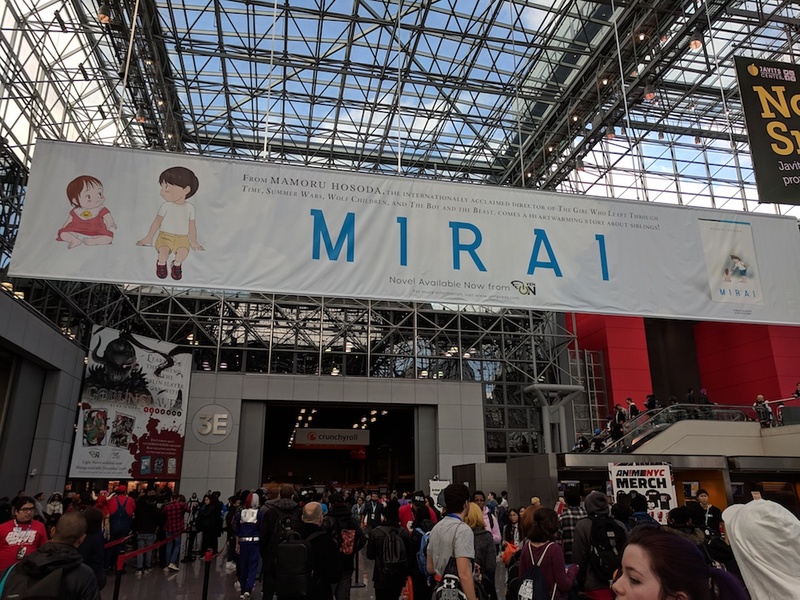 In that respect, I don’t especially mind the ticket system for signings, which involves lining up to get a voucher to attend an autograph session later, but there are a couple of criticisms I have for Anime NYC’s approach. First, on Saturday and Sunday, it required lining up at 8am, and given that people will line up early for autographs, it usually means getting there by 7am or earlier. For anyone not staying close to the Javits, it means perhaps having to wake up as early as 5am. Another drawback is that everyone is in the same line for autographs, which is a problem I also have with Anime Expo in Los Angeles. The fact that all of the autographs are funneled into one line means that even if your desired guest isn’t one of the super-popular ones, you still have to deal with all the people who are waiting for the mega-stars. 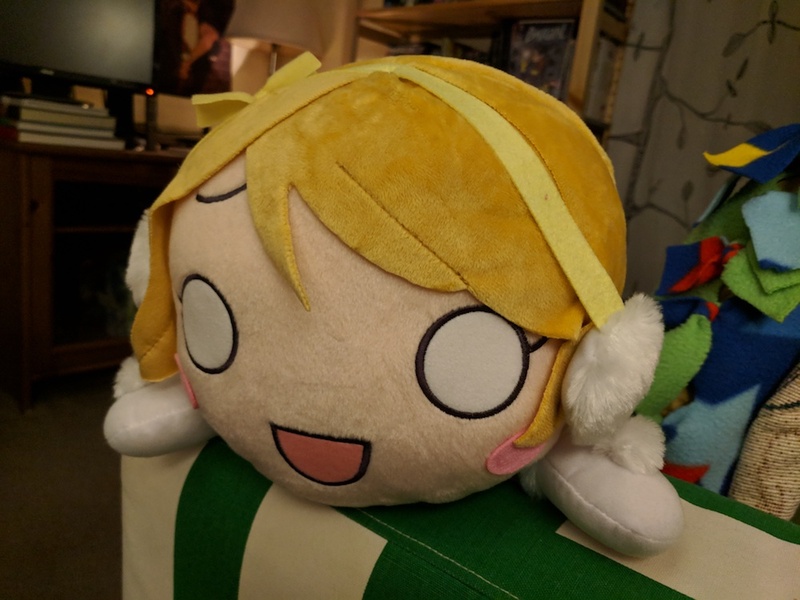 I hope Anime NYC does some things differently. First, having lines at the start of the day is a good idea, but try to make them at least a little later. Second, ticket lines for autographs should be split in a way that makes it faster for everyone. If those changes can happen, I think it would benefit everyone. Sunrise showed the first twenty minutes of Gundam Narrative at their Gundam panel, and it enticed me enough to want to finish Gundam Unicorn and to see where the film will go from there. I don’t want to spoil too much, but the way it somewhat re-frames the way society looks at Newtypes has me intrigued. I also caught the Kase-san and Morning Glories film. It’s a gorgeous animated movie about two girls in love, and the way it explores the depths of their feelings is thrilling on a mental and emotional level. 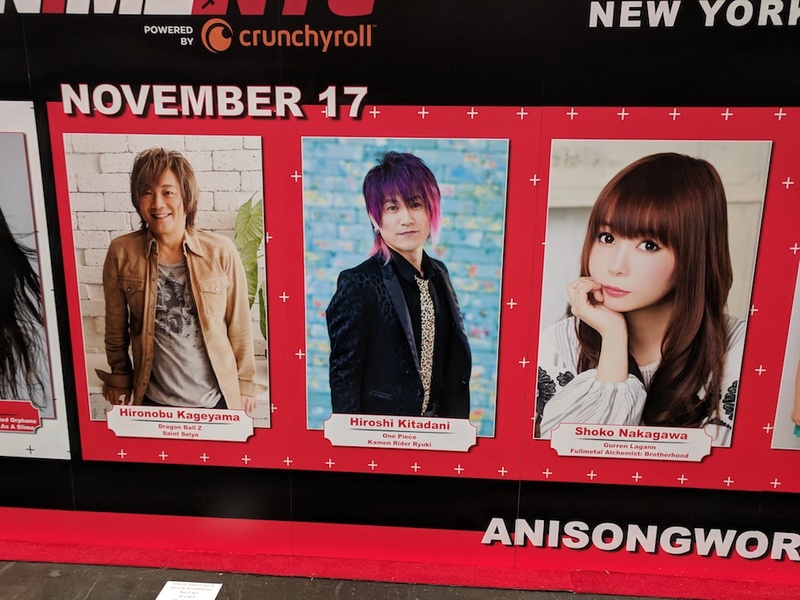 I attended the Saturday Anisong World Matsuri concert at Hammerstein Ballroom, which featured Kitadani Hiroshi and Kageyama Hironobu of JAM Project, Nakagawa “Shokotan” Shoko, and idol titans Morning Musume. Despite being standing only for non-VIP audience members, it was one of the best anime concerts I’d ever been to. The mix of idol fans and anisong fans actually made for non-stop excitement, as each performance highlighted the best of the old and the new in a roller coaster of bright spots. Shokotan and Kitadani sang “Pegasus Fantasy” from Saint Seiya, followed later by Kageyama and Shokotan doing “Soldier Dream”!). Kageyama and Morning Musume joining forces for both “Love Machine” (a Morning Musume classic, I’m told) and “Chala Head Chala” (the first Dragon Ball Z opening). By the end, everyone came out to perform “THE HERO ! !” from One Punch Man together. Hearing members of Morning Musume shout, ‘NOBODY KNOWS WHO HE IS!” will go down as a once-in-a-lifetime moment. However, my personal absolute highlight of the entire concert was Kageyama performing “Heats,” the opening to the 1999 OVA Shin Getter Robo: Armageddon. It’s one of the first songs that really made me pay attention to Kageyama and one of his greatest, but the age and obscurity factors made me think I’d never hear it performed live. I am incredibly glad to be wrong. 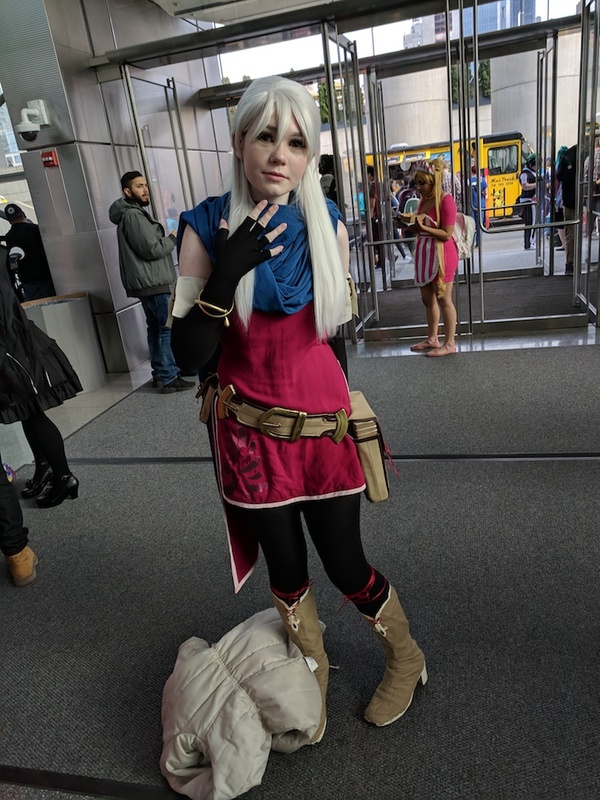 From top to bottom, Anime NYC 2018 was a great event. There were some hiccups, especially when it came to managing autograph lines and the cold weather, but I eagerly await 2019. 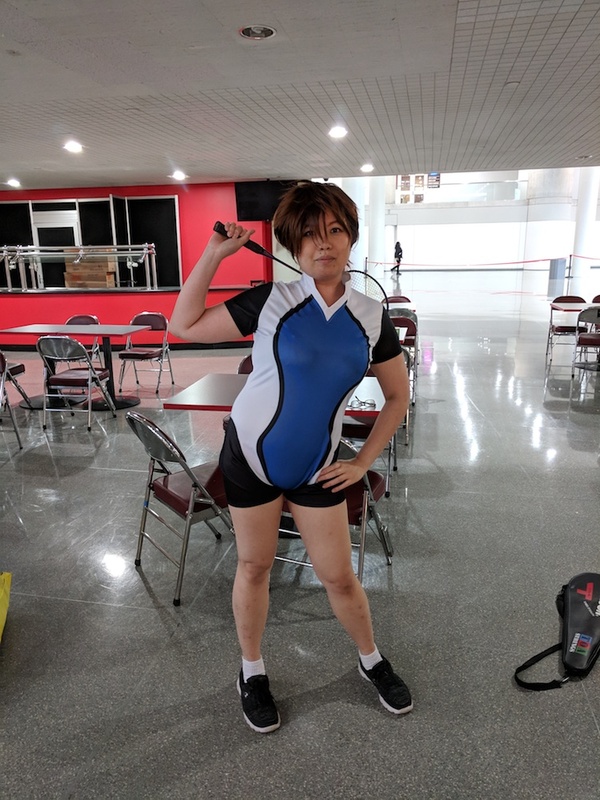 My only regret is that I didn’t get any interviews for Ogiue Maniax this year. If the convention gods find it in their favor, I hope I can ask next year’s guests some solid questions. 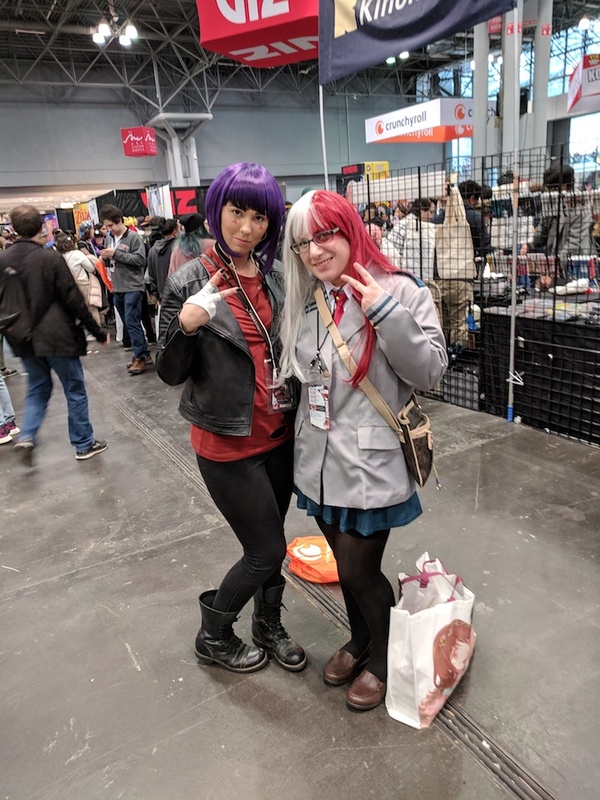 This entry was posted in anime, convention, manga and tagged anime nyc, cosplay, jam project, morning musume, shoko nakagawa, tohru furuya, toru furuya. Bookmark the permalink. > which also just happened to be the morning after one of the biggest snowstorms in New York City history.